Sometimes, a knightly weapon is just what is needed to add the right amount of character and flair to a historical outfit or costume. When that is the case, why not add it with a Brass Knight Dagger? This wonderful piece has an unsharpened ricasso and a double-edged, stainless steel blade. Its intricately designed guard features elegant, lined patterns in the form of two hollowed out triangular terminals and a crest at the guards center of a grand eagle cast in brass-metal. The grip is faux ivory, emblazoned with a crown and additional designs. The pommel is a miniature replica of an ornate knights helmet, also cast in brass-metal. The wood scabbard included showcases similar designs, featuring brass-metal furnishings at the mouth and end. 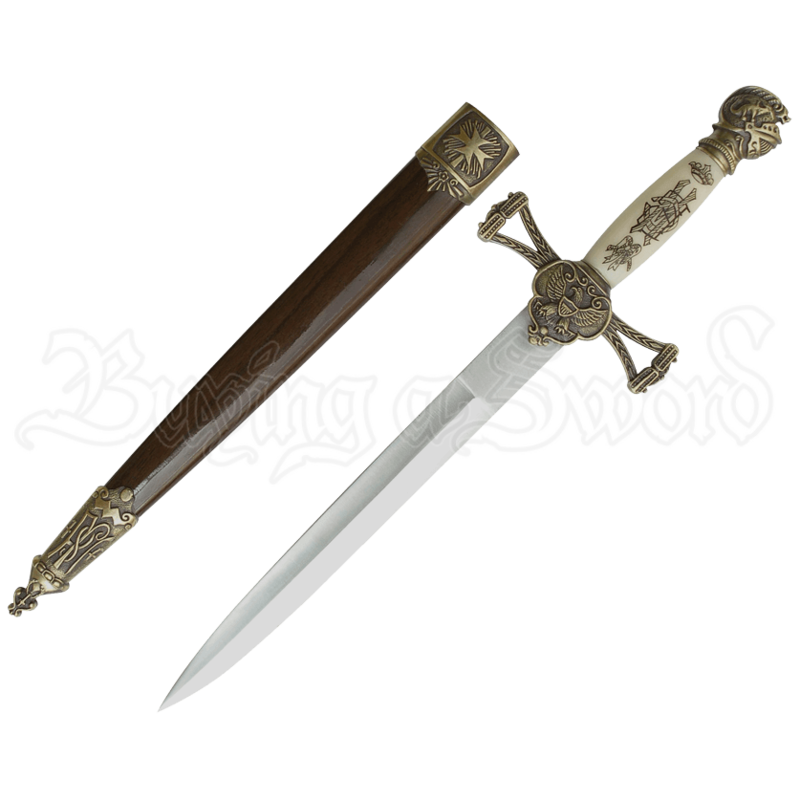 An intriguing and tasteful piece, the Brass Knight Dagger could be just the item to add that chivalrous touch to your next medieval outing.